In a 7,000-word blockbuster Sunday, The New York Times reported that Walmart allegedly engaged in a vast campaign of bribery to expand the company’s Mexico business in the early 2000s, potentially violating U.S. law. The scheme was allegedly overseen by a Walmart executive, Eduardo Castro-Wright, described by The Times as “the driving force behind years of bribery” totaling millions of dollars. 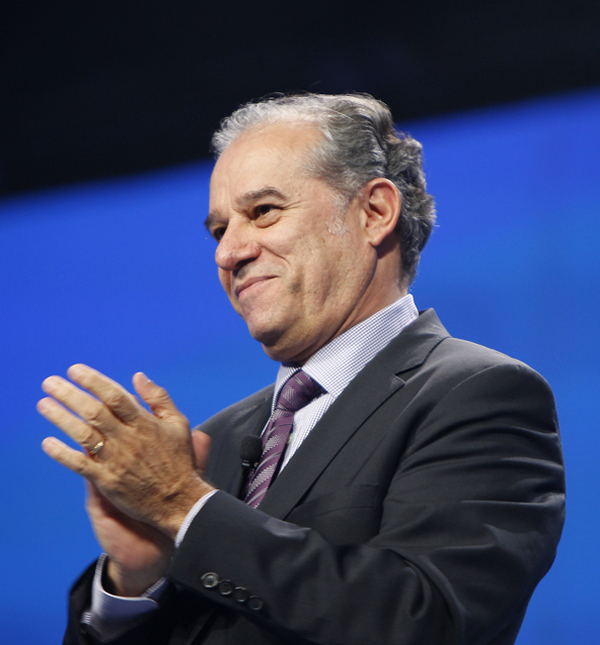 Eduardo Castro-Wright, vice chairman and CEO of Global Ecommerce of Wal-Mart Stores, at the company's 2011 Shareholders Meeting in Fayetteville, Arkansas. Three years ago, Castro-Wright himself gave an interview to The Times in which he offered a somewhat different picture of his leadership style. The Times interview ran under the headline “In a Word, He Wants Simplicity” about five years after the period in which Castro-Wright had allegedly overseen systematic bribery. In an interview with The Times, Mr. Cicero said Mr. Castro-Wright had encouraged the payments for a specific strategic purpose. The idea, he said, was to build hundreds of new stores so fast that competitors would not have time to react. Bribes, he explained, accelerated growth. They got zoning maps changed. They made environmental objections vanish. Permits that typically took months to process magically materialized in days. “What we were buying was time,” he said. The meteoric growth of the company’s Mexican business translated into promotions for Castro-Wright. In 2005, he was appointed head of Walmart U.S., and in 2008 to his current position as vice chairman of Walmart and CEO of its global ecommerce business. Walmart announced in September 2011 that Castro-Wright would retire this July. The company’s bio page that shows up as the second hit for Castro-Wright’s name on a Google search is now blank. Company spokeswoman Ashley Hardie told ProPublica that the page had been taken down after the announcement last September. Castro-Wright is also on the boards of insurer MetLife and the charity CARE. Walmart has posted a statement on the Times piece, saying that it is “working aggressively to determine what happened” and that “if these allegations are true, it is not a reflection of who we are or what we stand for.” The company informed the Justice Department of an internal investigation in December after it learned of The Times’ reporting, according to the paper. ProPublica is an independent, non-profit newsroom that produces investigative journalism in the public interest. This article is republished with permission under a Creative Commons license. Can U.S. Nuclear Plants Handle a Major Natural Disaster?